So we've all seen iOS7 getting previewed. We've had our first impressions from the launch video. We've all complained about the icons and we have also seen iOS7 improve dramatically from Beta 1 to Beta 6. Its near perfect now. The confusing lock screen isn't confusing anymore. The extremely high-saturation in the iTunes App Icon has gone, I am getting used to seeing larger circles and 3.5" phones look nice again! A bit more on the screen size first. 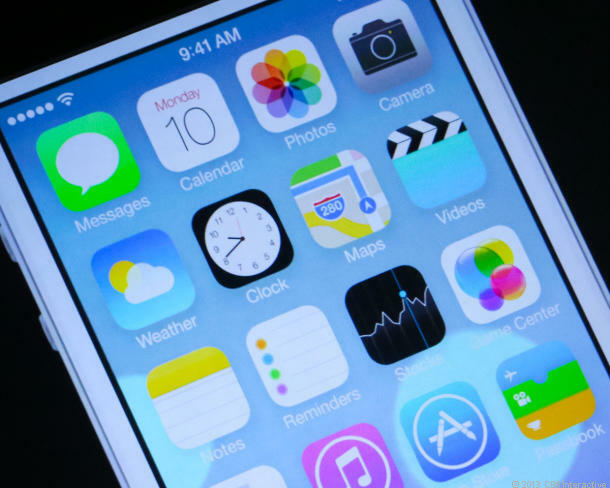 iPhones have largely been criticized for their small screen sizes. 3.5" inch phones don't stand anywhere against 6 inch phones, perhaps. Perhaps Not! What matters with screen sizes is the User Interface. A Cleaner user interface with more working area makes your 3.5" phone look just as workeable as a large 4.7" phone would with a pathetic user interface and little reading area. To give more perspective, while a 10 inch laptop looks extremely cramped up, a 10 inch iPad is often told as a large canvas. The difference is of an optimized UI. iOS 7 Plays a major role over here. Right from the moment you wake your screen you perceive it looks larger because its a cleaner user interface which gives the screen a lot of open space instead of a cramped up iOS6 lock screen where more than half of the space was eaten up by a large slide to unlock bars and time & date headers. They've gone for good. Then there's the browsing content, where the navigation bars and the address bars just slide away to give a better full-screen reading experience and this seems to be, by and large the approach of this operating system throughout its default apps, be it the translucent keyboard or the semi-transparent navigation options of the camera app. 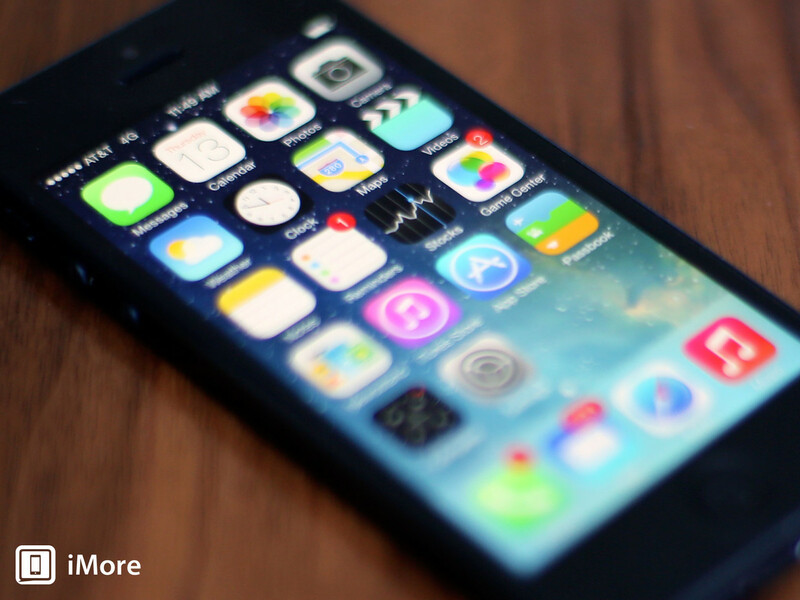 They are perhaps the most important efforts put in iOS7 to improve the phone's form-factor. A perfect example of where the software helps the hardware in every way possible for a greater User Interface and is definitely a great way to solve the screensize problem. Perhaps the most important aspect of a human's interaction with a device is its UX where more often than not we seem to ask the question, "How does the software behave to your touch?" And here come some of the most ground breaking 'changes' that apple has made to the phone's operating system. Coming to the home screen again, when you slide to unlock your phone now, you slide the screen and not the slider. The icons also fly in instead of just being statically placed there. The phone gives a depth perception. You feel as though the screen had 'layers' of content instead of a static display making the operating system feel three dimensional. The parallax on the home screen is just an extension to this effect. The sliding from the edge of the display in Safari and Mail now make you go to the previous screen, an extremely intuitive way of navigating. There are developer APIs for the same too. By redoing the entire UX for iOS7, Apple has made a bold move where they've practically changed the way the entire operating system works on your touch but have kept your touch just the same. You still slide to unlock but now you are sliding the screen instead of the slider. iBeacons: Low-Cost transmitters which involve a greater level of hardware and software interaction by detecting your location. Simply put iBeacons could have the potential of you being able to turn off a light automatically as you leave your room. Or say you go to a museum, the museum's app could interact better with you with the help of IBeacons for example it could provide you more information and dynamic content on an exhibit as you pass by it. iBeacons are all set to develop a different hardware software interaction than what you've seen previously & probably in a big way. I am guessing there'll be greater integration with Apple's own apps as well and ofcourse iBeacons will work in a bigger way in future Apple Devices like the rumored TV change or a watch accessory. Smartwatches and Game Controllers: New Bluetooth APIs help your iPhone and iPad interact better with these devices. So your shiny new Pebble watch will have greater access and so will the nike fuel band. Also, there's Game Controller support. AirDrop: Friends have constantly asked me whether there are apps that let them share 'files' via bluetooth. Much to their disappointment they can't. iOS7 changes that. Developers now have access to use AirDrop which will allow users to share content like photos or links with fellow iOS7 owners. Developers are sure to pounce on the opportunity to create apps which allow sharing of notes, documents and what not! Control Center: If not in as major a way as AirDrop or iBeacons, control center gives iPhone its own share of quick access content. You can start playing music, turn on/off bluetooth, airdrop, wifi and more, goto to camera, calculator or timer instantly. This is going to be quite a handy tool for iOS Device owners. Multitasking: More multitasking abilities will now help apps download content in the background, iOS7 now supports complete multitasking abilities and better optimisation ensures you still get the good battery life. iTunes Radio: You can select from a selection of featured stations which are based on genre or artists or select from suggested stations which are customised to the user's listening habits. iTunes Radio is Apple's answer to the deteriorating iTunes listening habits of people and a shift to pandora and spotify. This is also a clear indication that the next generation of iPods are likely to have WiFi! Well there we are, i've not even talked about the flat Aesthetic yet. So you see, beyond UI, UX & Aesthetic changes there lie a lot more meaningful improvements to the operating system. iOS7 devices will have the ability to interact with devices that have been traditionally unassociated with modern day tech, and that is what excites me to use iOS7 which is well and truly the biggest update to the operating system. Both Aesthetically and technically! This is definitely worth an upgrade from iOS6. We often hear from Apple's critics and Android Adopters about how closed and guarded the iOS platform is and how much open the Android platform is. And yet with all its openness, Android has failed to produce a single app which is technically superior in working than any iOS app. Infact the only place where the openness is openly visible is the malware industry which is at an all time boom on Android devices.